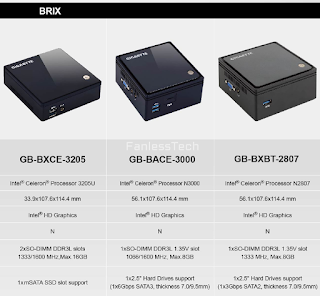 We managed to access an unreleased GIGABYTE document confirming a Braswell version of the pretty successful GB-BXBT-2807. 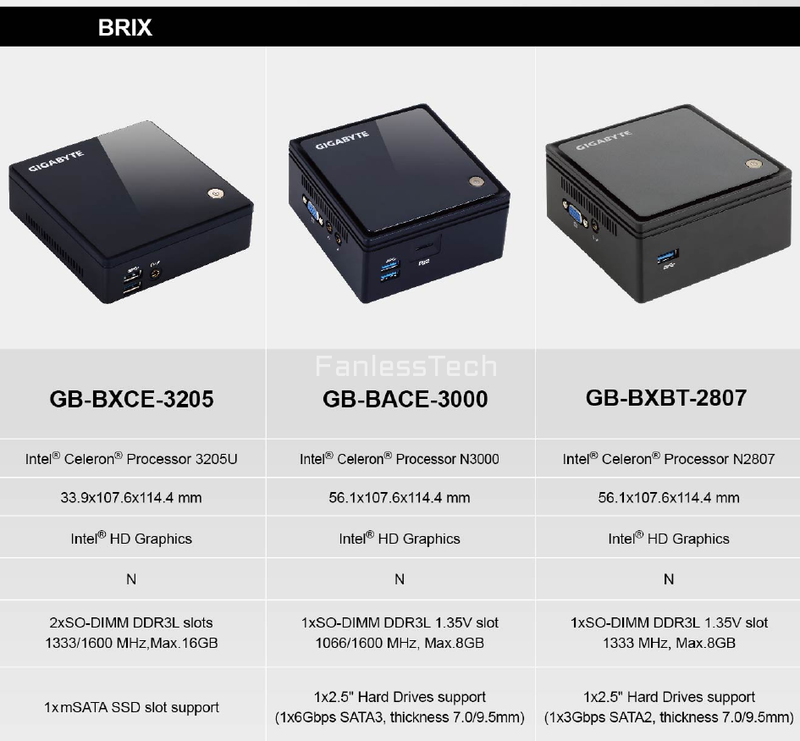 The GB-BACE-3000 is very similar to its Bay Trail big brother, only rocking a Celeron N3000, upgraded WiFi, four USB 3.0 ports, and a welcomed SD card reader. 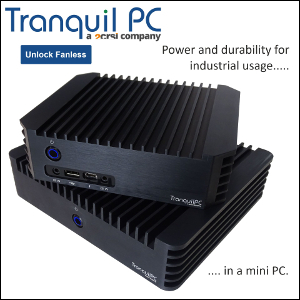 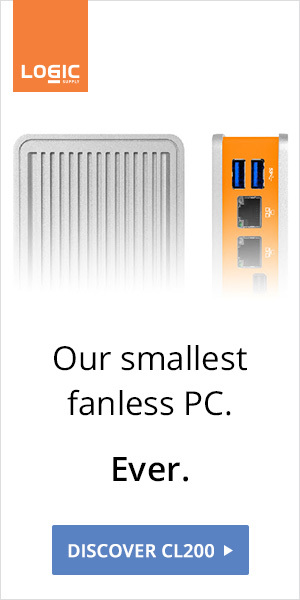 Given the Celeron N3000's 4W TDP we're positive that the Braswell BRIX is once again fanless.